Welcome | Insurance Savers Agency, Inc.Insurance Savers Agency, Inc. Thank You for visiting Insurance Savers, your number one source for insurance solutions. We look forward to hearing from you real soon! We are committed to ensuring client satisfaction by providing insurance coverages and financial services to meet the individual needs of each client. At Insurance Savers Agency we assist our clients in making wise choices while offering competitive pricing and excellent service. Maintaining the highest ethical standards and credibility with our clients, carriers, and the public are our primary professional and personal goals. Our offices are located in Campton and Littleton, New Hampshire. Insurance Savers Agency, Inc. is an independent insurance agency. serving the states of NewHampshire & Vermont. We’ve aligned ourselves with some of the finest carriers to provide a broad range of Commercial, Personal, Life, and Health products. Our philosophy is do it right the first time. We strive to ensure that the "first" quote is the correct quote, no surprises, no missing information and no "you didn't tell me about that." Our standard is to have every quote completed within one-two business days, and we are in constant contact with you every step of the way. When you become part of the Insurance Savers family you can expect us to provide consistent, personalized and top notch service, from knowledgeable agents who can be trusted to protect your interests. Established in 1998 as a one-person operation, Insurance Savers Agency, Inc has grown to a premier insurance agency serving the needs of over two-thousand clients in New Hampshire. We are family owned and operated and serve the states of New Hampshire and Vermont. Insurance Savers Agency, Inc. is a proud member of SAN,The Satellite Agency Network. SAN is a group of professional agents who access and represent over thirty of the nations largest insurance carriers. With our group strength we are able to obtain products and services otherwise not available elsewhere. 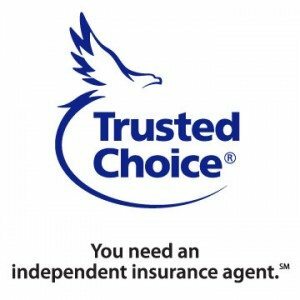 It's all about Choices, and SIAA Insurance Choices Agents are committed to providing you with quality insurance products, choices of companies and competitive prices, all part of our commitment to customer service. SIAA Insurance Choices Agents are more than just insurance agents; they are consultants and advisors helping you to protect your most valuable assets. Independent Insurance Agents, who represent a number insurance companies, and research with these firms to find y ou the best combination of price, coverage and service. coverage from more than one company. best combination of price, coverage and service. auto, business, life and health. Reviews your coverage periodically to assess your changing insurance needs.